I kinda like this style of blogging, like how I used to blog back in the day..free and easy, some pics, some words and what I’ve been up to. Kind of nice to keep a journal of what I’ve been doing too without any pretensions or over-thinking things. Just like I did last week the day after my birthday. Maybe I’ll make a weekly thing. I’ve just not been in the mood for anything this week, well apart from killing people and hitting things, so that explains the lack of my normal in-depth, time consuming kinda blog posts. Mostly I’ve just been sitting around, watching movies and TV series and drinking. Just started Life and Lie to Me – both good so far, Life seems better though as Lie to Me seems a little formulaic rather like House but for deception. 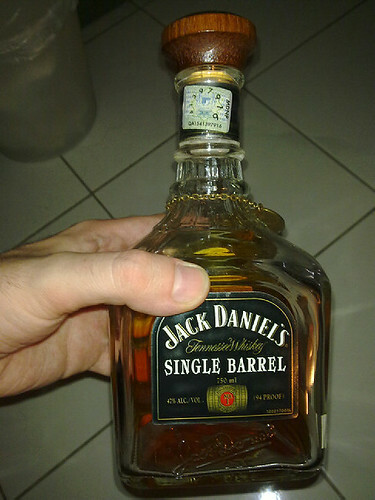 This one of the many bottles that fell foul to my mood this week (Jack Daniels Single Barrel)..it’s now empty, in the bottle grave yard with its brothers. Having bought a house and now carrying out renovations, I’ve had to cut back on spending a lot…most of that includes not going out and the biggest one, eating cheaper, so I’ve been seeing a lot of things like this…sweet and sour pork rice and iced chinese tea. And on Friday night, even better! 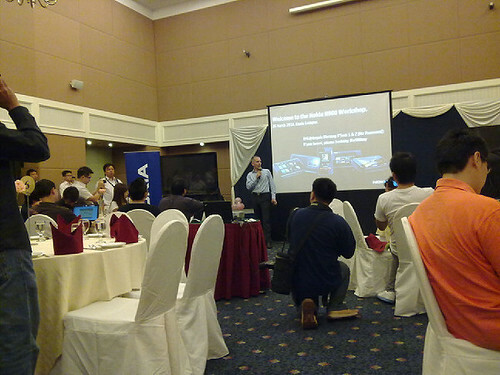 I had myself a free dinner at the Nokia N900 workshop at Royale Bintang hotel in Mutiara Damansara. I was looking forward to the event for the whole week and I’ve been earnestly waiting for this phone since sometime early in 2009 when I first heard the word ‘Maemo’ uttered. And well this is the last picture you’ll see from my N97, because I’m now the VERY proud owner of a Nokia N900! 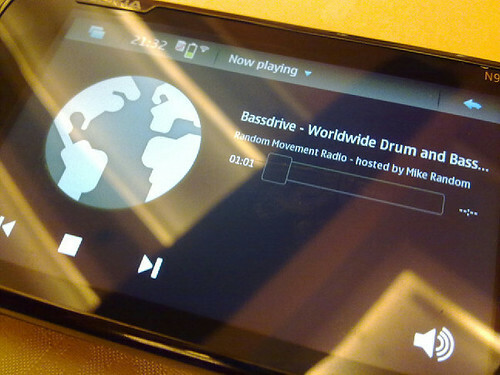 I was so happy streaming Bassdrive the Drum and Bass online radio station on my new phone I didn’t talk to anyone. The phone went on sale last Saturday in Malaysia with an RRP of RM2280 (Nokia N900 – Malaysia). And well I didn’t really talk to anyone for the next 2-3 days because I was playing with my phone w00t. Although I did manage to fit in one of my all-time favourite weekend lunches at Kanna – some Banana Leaf Rice with the BEST sotong goreng. (Pictures from now on are with Nokia N900). Anyway first impressions of the phone? It’s a multi-tasking beast, if you’re familiar with Linux it helps a LOT, it’s not a consumer phone, definitely a power-user or developers device (which suites me perfectly). To sum it up it’s basically a small computer with the same screen res as the Asus EEEPc and it has a basic phone application 😛 More in-depth later when I’ve used it for a while, give it a chance to screw up or something as I’ve only had it for 6 days. Camera seems decent too, white balance could be improved but the macro capability is great. As for the rest of the week? 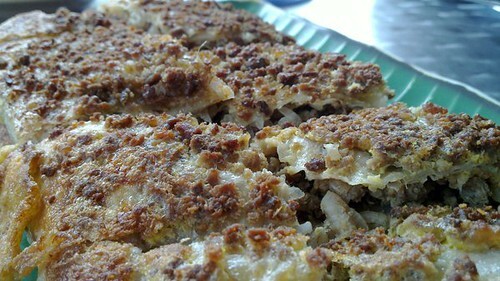 Had some pretty slammin’ murtabak at Victory – Arab Street in USJ9. And my old laptop at work has been giving me epic problems, I think the fan is dead so if I open more than 3 apps it shuts down because it’s over-heating. 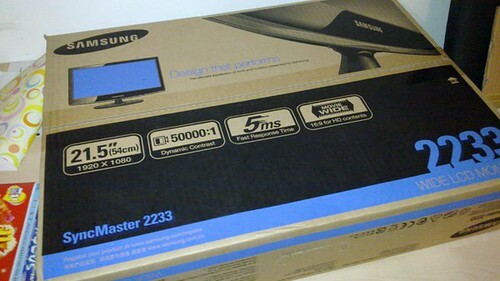 Got a new desktop instead as I don’t really move it around..got a setup with 4GB RAM and a sweet Samsung 2233 21.5″ widescreen Full HD monitor. Spent the last 2 days installing Windows 7 on it and it seems pretty awesome, tempted to upgrade everything to Windows 7 now. 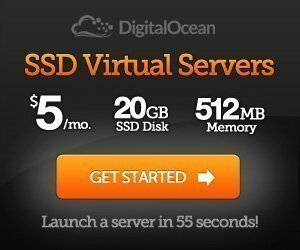 It was such a painless install, no options, no configuration, no drivers required – it just figured everything out! Tided up my office too, got rid of some crap I don’t use, moved some furniture – got much more space and a nicer working area now. Just need to finish transferring everything over from the laptop, then I can get back to work and multi-tasking without having to cross my fingers everytime I open something that uses a few CPU cycles. I totally support you making this kind of posts a weekly thing as I feel it adds a personal touch to your blog. As for the N900, it definitely seems awesome and I can not help but wonder how far the maemo platform applications will be developed in comparison to iphone applications. Its still rather early to tell though. How’s the touch screen on it? I’ve heard some reviews about the N900 touch being rather unresponsive. 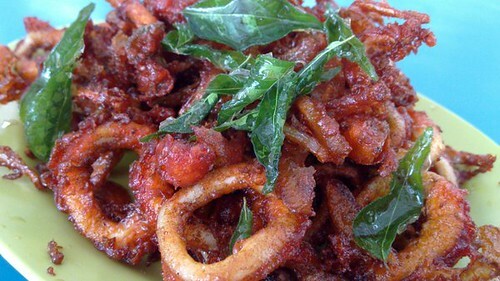 zomg i can use some sotong now! James: Yah good stuff, a little dry tho. moons: Yah that’s what I thought, something a bit more personal. Well it can basically install any Linux app, so that’s not an issue. Well it’s capacitive vs resistive, if you’re from a capacitive phone you’ll find it unresponsive, but my previous N97 was resistive too so it’s no different for me. Wah, Gu Lou Yuk! damn good pork, cooked the simplest and most effective way. Sweet & sour pork looks delicious. One of my all time favorites. Did you get it at the mixed rice stall? RM4 with ice tea? nice to be able to review gadgets eh? wish I hv the chance too. J2Kfm: Yah simple and delicious! kenwooi: Haha yah it’s a classic. 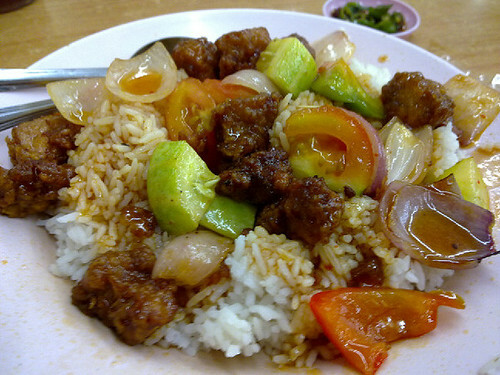 Meng: Nah I go to restaurant so it’s cooked fresh, chap fan one tends to be a bit soggy – this one is around RM6. mousie: Come back, jom makan! are you planning change your Nokia N900 to Android? I think you should give it a shot. MaN|acZ: Nah Maemo is fine, Android is barely working properly on N900 – it’d be a downgrade. Maybe when it works properly and Maemo is at end of life.